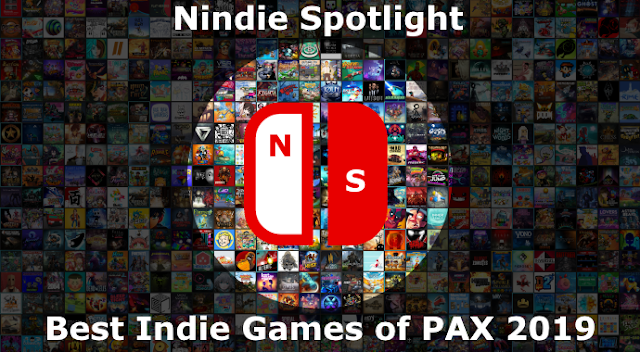 In the area of budget games that are brought over from mobile the Switch has a mixed bag. Some mobile conversions have terrible controls, some just aren’t as well suited to the Switch’s larger screen, and some work out pretty well. 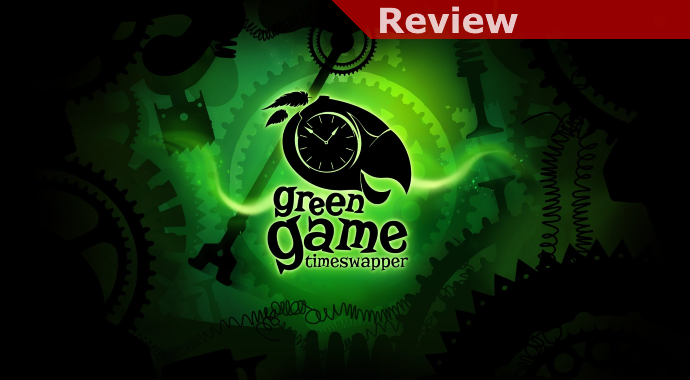 Unfortunately, Green Game: Timeswapper is one that hasn’t worked out well, though it would be within the developer’s power to improve the situation with a patch so all hope may not be lost. Starting with what’s good we have the game’s overall aesthetics and sound. 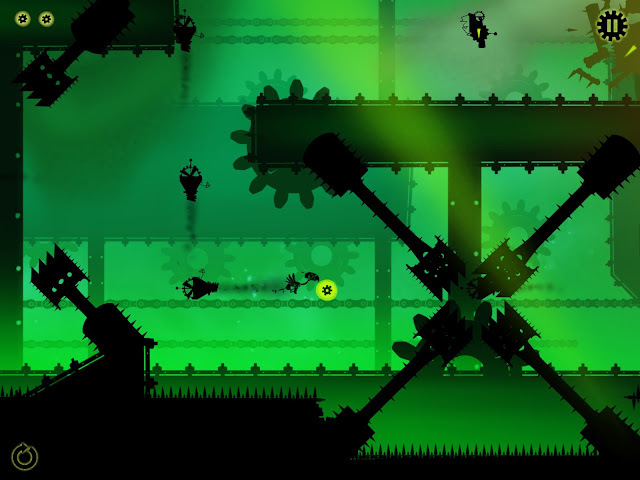 While it isn’t a very complicated look with foreground elements in black over the incredibly green background (thus the game’s name) there is certainly a sense of style to it all. I’d also say that while the soundtrack can get repetitive after awhile I also dig the music that further reinforces that sense of style, seemingly setting the stage for good things. The idea of the game is pretty basic, you use the touchscreen as a sort of throttle or dial, moving it to the right or the left to affect the various implements on the screen. This starts out with just some machines that puff air but as you go along things get more complicated as you begin to control the angle of some elements, their movement, and so on. You’re doing all of this in order to move your odd-looking bird through the level safely, picking up as many little cogs as you can (there are 3 per level) if you’re feeling daring but ultimately getting it safely from the is starts from to a new enclosure at the end. Unfortunately regardless of the merits of the gameplay style and its overall presentation as of Level 7 there are enough control issues with the game that I’d consider it not worth playing. The bad signs actually begin with the main menu. I actually spent the first minute or two trying to figure out how to get rolling. There was no button saying “Go” and when I touched the cog near the Number 1, which I took to be for the level, the cogs shifted so I could see the cogs for later levels. I finally figured out the issue was that the area you need to hit for the Level is actually very precise and if you’re off at all it instead will move the cogs. I thought it was just me but then when another person I know said they couldn’t figure out how to start the game that reinforced that it is a problem. Once I got past that things were fine for the first few levels since those are mostly on/off in nature, requiring that you alternate which blowers are activated to push your bird around to where it needs to go. Once you begin needing nuance, though, the touchscreen controls are roughly a nightmare as they aren’t precise. You’ll move the dial, stop, and then the controls will slowly continue to creep in either direction. I can’t imagine this is in any way intended as the result is you fighting with the controls rather than focusing on the puzzle-based gameplay. Even at the very modest price being asked on the Switch eShop for this game right now I can’t recommend it. I like its looks and sounds, and the puzzle mechanic seems novel enough to occupy yourself with for a few hours. Unfortunately the forced touchscreen controls are implemented so wonkily that it gives you nothing but aggravation once nuance is called for pretty early on in the game. If the game is patched and this is changed, with the controls being precise, I hope to give it a more thorough review but for now I’d avoid it.